The 10 Best Escape Rooms in Arizona! Are you looking for an exhilarating and exciting experience you won't forget? Enter escape rooms. These real-world adventures pair teams of friends, family, and strangers together to uncover a series of puzzles, mysteries and riddles—enabling them to "escape" from the themed room. 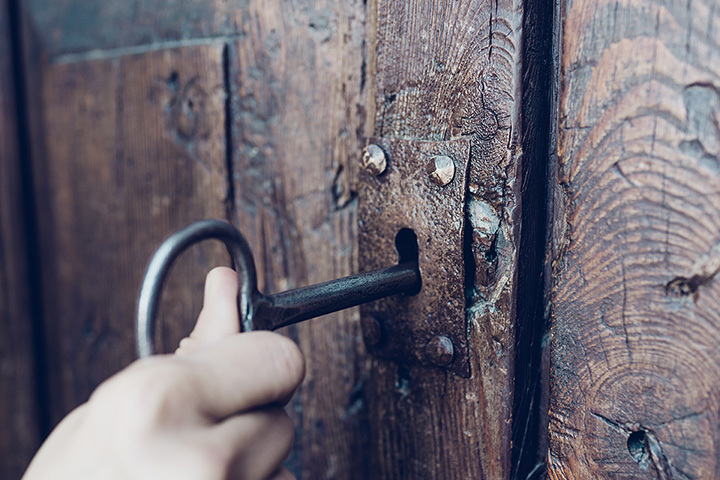 Whether you've tried them before or are a new enthusiast, you'll want to check out these—the 10 best escape rooms in Arizona. Founded by a husband and wife team, the Crypt offers a unique escape room experience to all of its players. Why, you ask? The Crypt team developed a custom scoring system, so players are beating more than just the clock. They also allow players to request hints when they feel they need them, instead of providing hints at random. The Crypt has some other unique offers as well. With Earthlings Ultra, the Crypt brings the game to you and up to 99 other players! To find out what the extraterrestrials are up to, contact them today. Ever feel like just smashing something? At the Rage Room, you can! Participants are given weapons, items to smash, and protective gear. Now that's a game we can really get behind. At the Escape Zone, participants can choose from three different escape rooms: The Inheritance, Jail Break, or Rush Hour. Each escape room features its own plot and varies in difficulty. To play nice with others, choose a public room for $28 per person. If you'd like to have the room to yourself, private bookings are also available. Pricing varies depending on the number of participants. The North Valley Escape Room was voted “Best of 2017” by Phoenix Magazine. Participants can choose from five different escape room options which vary in price depending on the room. In addition to having several options for adults, North Valley also offers "The Principal's Office," which is an escape room the kids can partake in, too. Want to host a party, other event, or fundraiser at North Valley Escape room? Contact them today. Escape Adventure offers 60-minute escape room experiences plus a LIVE escape game. (Black Mirror, anyone?!) Try one of their themed rooms like Escape Wonderland or Journey Through Africa. And, if you're feeling really adventurous, try the live game and get your mind racing and adrenaline pumping. According to the website, MindSpark Escape Games offers a "fully interactive and immersive experience" that's "unlike anything else you can do in Tempe." Grab your family and friends and book their Zombie Room or one of their other two themed room options today. And if you just can't wait? Try a 10-minute VR solo mission. Will You Escape is a boutique escape room striving to provide each and every guest with a five-star worthy experience, per their website. Interested participants can choose from the following three themes: Secret Agent Room, Captain Steelhook's Treasure, or Serial Killer. Do bear in mind, though, players looking to book the Serial Killer room must be 18 years are older and will be blindfolded and/or handcuffed as part of the game. At Cluemaster Escape Rooms, players can choose to participate in one of three themed rooms. And, unlike many other escape rooms, Cluemaster exclusively features private rooms—meaning, you and your friends or family members have the entire room to yourself. Pricing for each themed room varies depending on the number of guests. Put your heads together and see if you can escape Creature Of The Year, The Cell Block, or The Warden's Ruse. At Dare To Escape, players can choose to be part of a cult and protect an ancient artifact, a gifted child with telepathic abilities, or a captured journalist in a terrorist cell. Dare To Escape welcomes kids, students, and adults. In addition, they offer discounts for kids aged 7-12 and students with a valid ID. Get your team together and see for yourself if you, too, can escape. Riddle Escape Room prides itself as the “Best Escape Room” in all of Arizona. Try the FBI Interview, The Heist, Dr. Riddler's Lab, or Prison Break and see for yourself. Have an anniversary or want to propose? Riddle Escape Room welcomes those, too! Last, but not least, is Escape the Room AZ. Escape the Room offers not one, two, or three different rooms for players—but an astounding 6 uniquely themed rooms for players to avail of. Choose your challenge and don't forget—have fun!